OSW is available to consult on any project that requires the unique expertise necessary to create exceptional studios that not only look and feel great but acoustically perform as intended. OSW prides itself on its diversity of designs, and ability to integrate a client’s unique personality and requirements with the realities inherent in the physics of sound. The requirements for accurate monitoring, low noise and uncolored sound are the same for the personal and professional studio, and OSW exists to provide the best environments for all clients. Alex Otto is a studio designer, builder and audio consultant based in the Southwest. His audio experience includes front of house duties for music venues and professional theater, as well as freelance studio engineering. 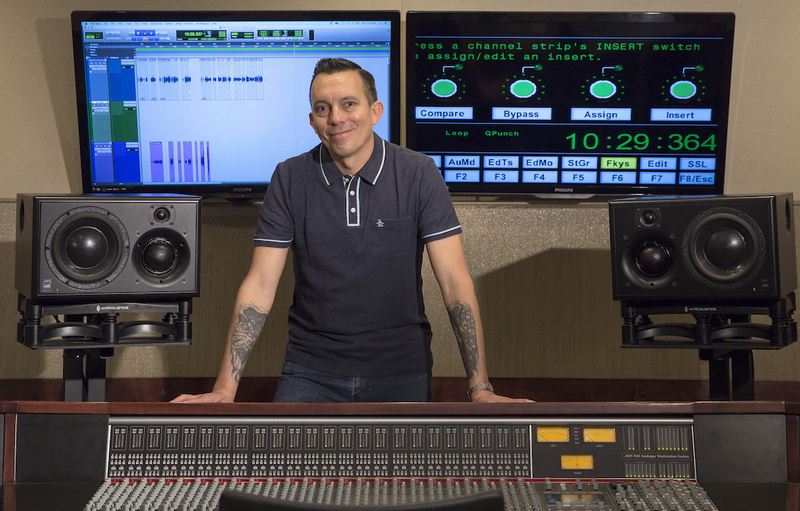 Alex spent 10 years as an educator at The Conservatory of Recording Arts and Sciences preparing future audio professionals with training on audio fundamentals, as well as Pro Tools workstations. As a musician and electrician his broad skill set allows him to approach every project with a thorough understanding of the technical as well as creative requirements. He has presented on the topic of control room acoustics at AES conventions and other industry gatherings such as Pot Luck. Alex is the principal designer and system architect of OSW Audio based in Tempe, Arizona. He is the developer of the SRMS multi-subwoofer tuning protocol, and head of North American install and studio services for Sound Techniques USA.